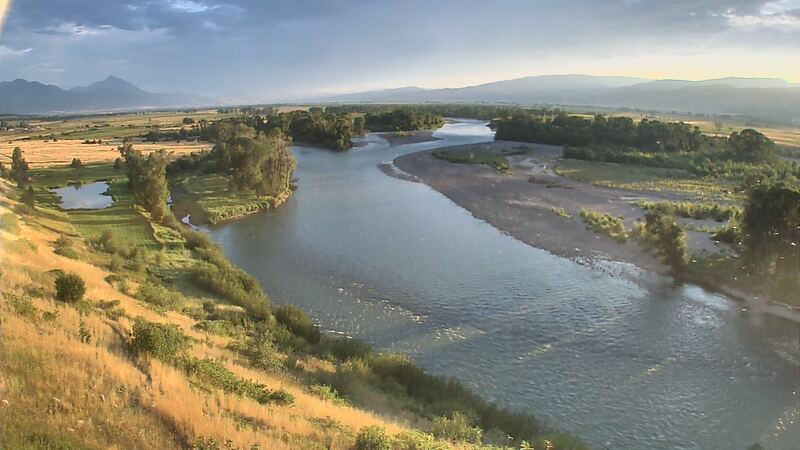 The Yellowstone River continues to fish well! Flows are down to 2,540 cfs near Corwin Springs and 2,720 cfs in Livingston. With lower water, look to identify deep seams of faster moving water to hold trout. Reading water for structure below faster oxygenated water will be sure to produce solid fishing, just make sure you aren't pounding the banks where fish are no longer holding as much. Upcoming cold weather should be really good for maintaining a good water temperature, as well as may bring in a bit more water to keep the river full. This has been the smokiest week of the summer, but don't let it deter you, white skies can help to hide leaders and cast a great silhouette to encourage a take. Terrestrial insects are in full swing, as fish are looking up for bugs like hoppers, crickets, beetles and ants. Para Ants in rust and black or a CDC Flying Ant dropped behind a medium sized hopper pattern has been working. Larger hopper patterns still haven't seemed to move too many fish. Instead, fishing a size 14-12 hopper variation like Foam Hoppers, Morrish Hoppers, and More-or-Less Hoppers has been moving fish more consistently. Other terrestrial attractors have also been working, The Pig, Cutty Crack, and Chubby Chernobyl are always a reliable pattern this time of year. If you are looking for different nymph patterns to fish, the more classic patterns have been working, Pheasant Tails, Prince Nymphs, Hares Ears and Pat's Rubber Legs all work well throughout the day. If your fishing a bobber, be prepared to catch some Whitefish! Come on by the shop to get an up to date fishing report and the latest on what patterns to fish.